Halloween is less than a week away! 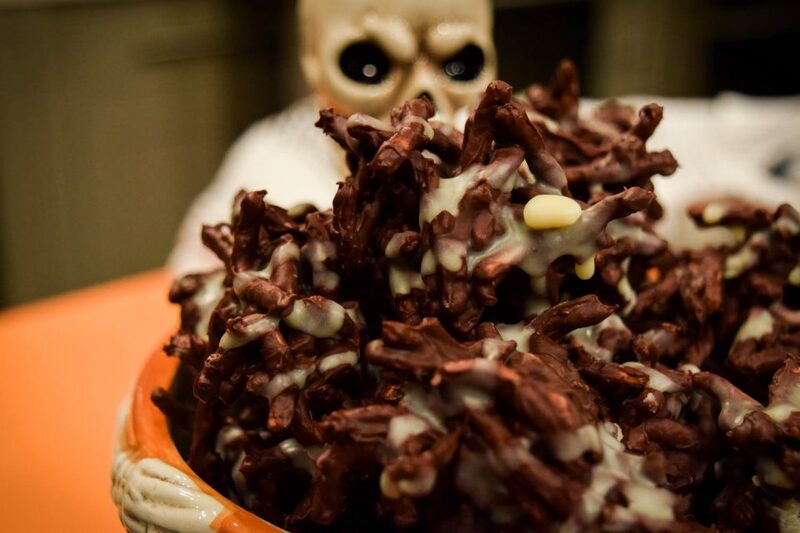 If you’re scrambling for a recipe for this weekend’s Halloween gathering or just want to make something festive, here are some of my favorites for this time of year! The first time Carrie Morey joined me on the show, she made this Little League Chili from her cookbook, Callie’s Biscuits and Southern Traditions. It’s perfectly named because just a hint of yellow mustard rouses memories of red clay and tee ball. 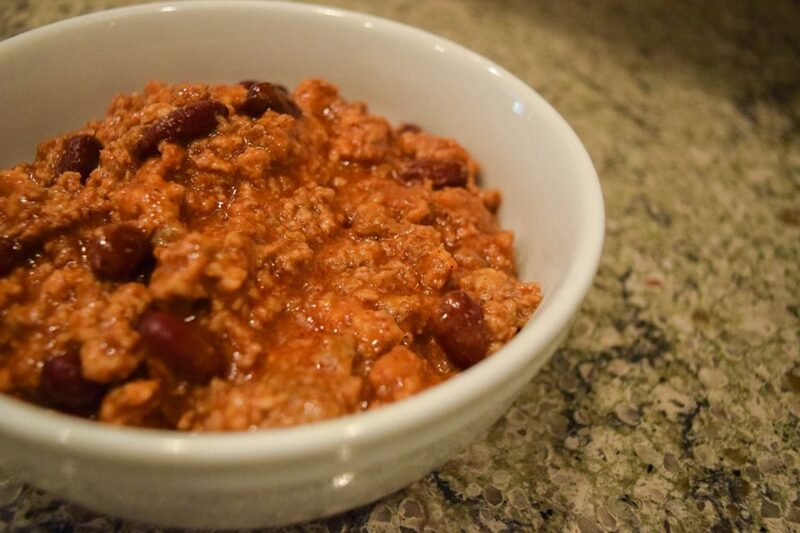 This chili is perfect to throw in the Crock Pot and serve when your party guests arrive. We made Frito Pies on that episode, which are great for all ages! There has never been an easier way to turn an appetizer you love into a themed starter! 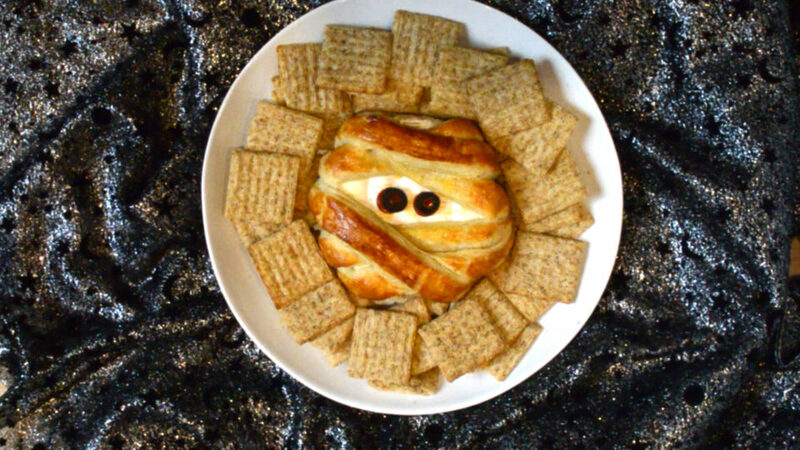 A sheet of puff pastry becomes a mummy’s wrappings when you cut it into strips and use them to cover a wheel of brie. Adding some red-colored jam or jelly will add an extra level of spookiness and flavor! 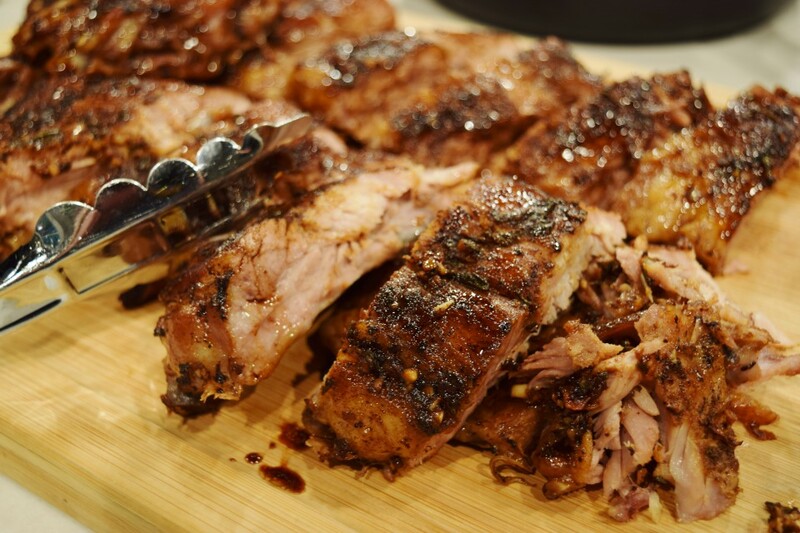 I know I know–ribs might not sound like a food you can easily make for a crowd. I love this recipe because you don’t have to use a grill if you don’t want to! All you need is an oven and a stove…and a hungry crowd once they’re done. 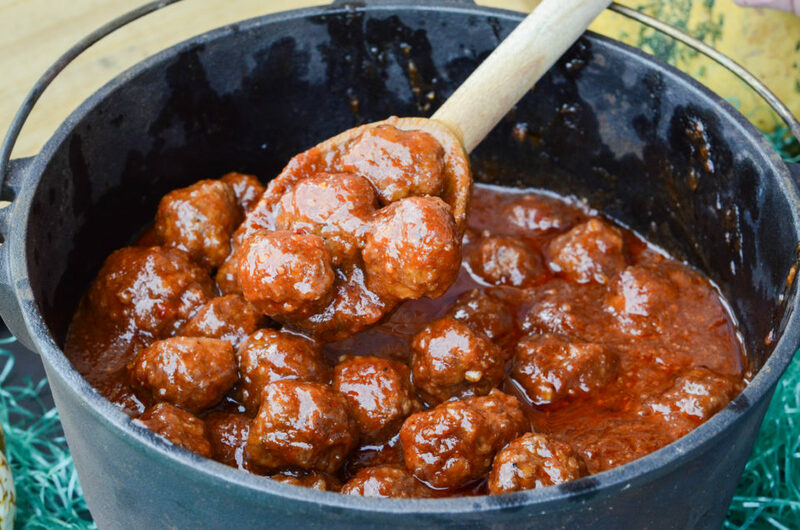 These meatballs are so easy and SO delicious. They’re versatile enough to use any time of year, but I especially love to make them for fall and winter gatherings. Did you know that a Reese’s Cup is America’s favorite candy? 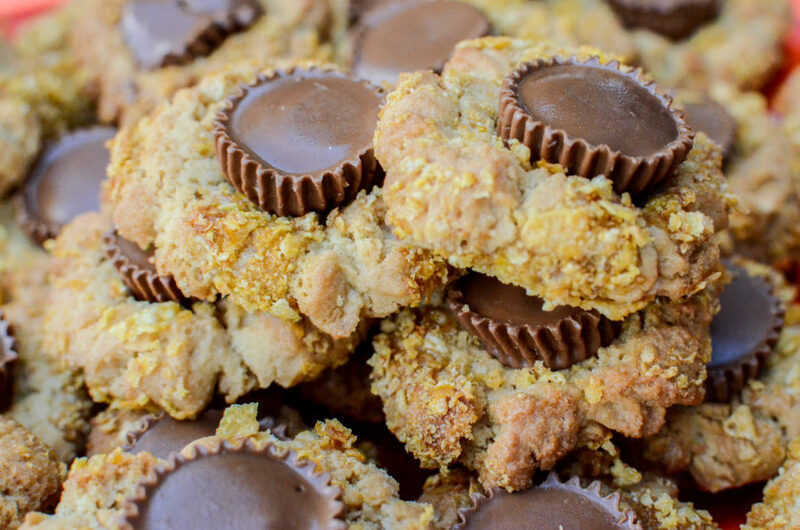 Put a mini Reese’s Cup on a cookie, roll it in corn flakes, and I’m good to go! These cookies are simple, but they’re a crowd pleaser every time. How would you like to knock out dessert and decor all in one? This classic Hershey recipe can double as a centerpiece until time to cut it! 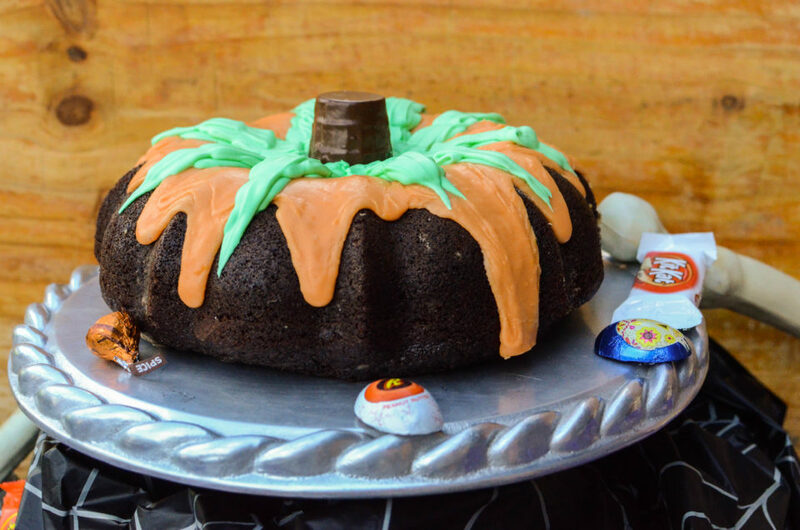 Chocolate and orange meld to make a seasonally appropriate cake that everyone will enjoy. I don’t think it gets any easier than melted chocolate, chow mein noodles, and pecans! These easy treats can be made a few days in advance to make party prep a little easier the day of. 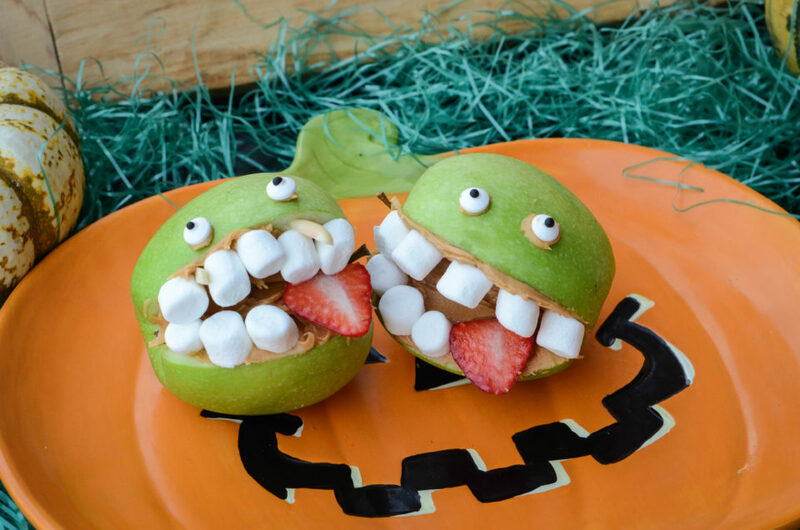 For a healthier option that kids will love, make these fun apple monsters! Better yet, set up a station at the party where your young partygoers can make their own! 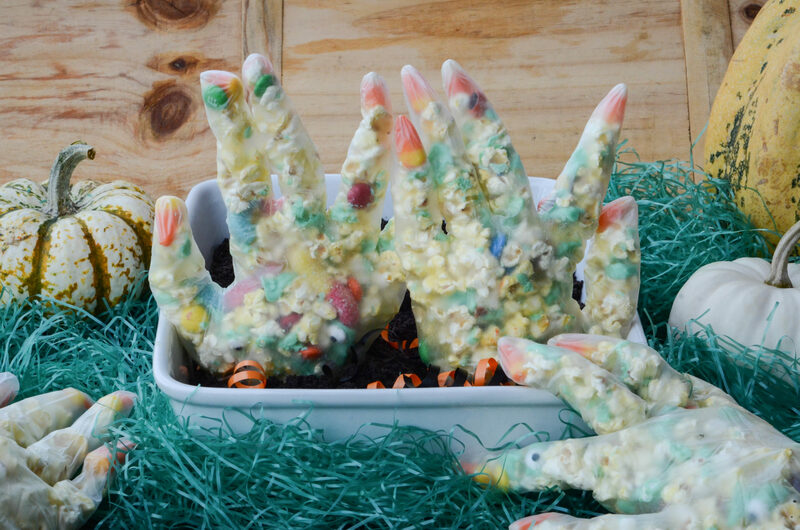 Give these treats a HAND! Monster Munch Mix is great on its own in a snack bowl, but you can turn it into a fun favor by putting it into a vinyl glove with candy corn nails! 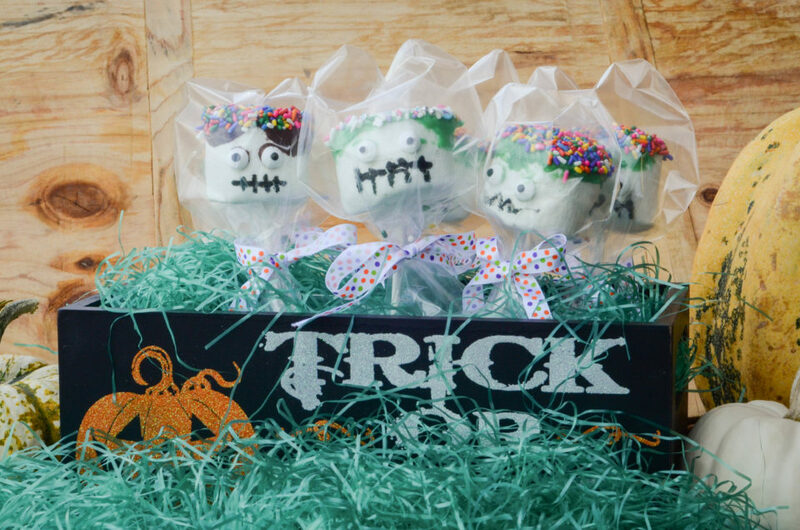 If you’re running out of ideas for treats and favors, these marshmallow pops are easy to make and so fun! Try different sprinkles for the hair and different face designs to switch it up!